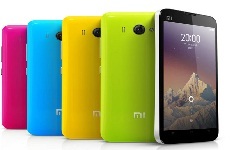 Xiaomi is also teaming up with e-Commerce major Flipkart to launch its handsets in India. NEW DELHI: Following the footsteps of Motorola, Chinese handset maker Xiaomi is also teaming up with e-Commerce major Flipkart to launch its handsets in India. Touted as the 'Apple' of China, Xiaomi had launched its official website in India earlier this month, announcing its entry into the fiercely competitive Indian smartphone market in the next few weeks. According to sources, Xiaomi is expected to bring two smartphones in partnership with Flipkart in the next 2-3 months. They added the agreement between the parties is in the final stages and the launch on the online market place will happen next month. While Flipkart declined to comment, response could not be ascertained from Xiaomi. Many handset makers like Motorola and Alcatel are partnering with e-commerce firms to launch their devices exclusively. While Motorola has launched its Moto G, Moto X and Moto E with Flipkart, Celkon had launched its Android Kitkat-powered Campus A35K exclusively with Snapdeal. Founded in 2010 by serial entrepreneur Lei Jun, the Beijing-headquartered firm has become one of China's biggest electronics companies that designs, develops and sells smartphones, mobile apps and other such consumer items. Other Chinese firms selling its handsets in India include Huawei, ZTE, Lenovo, Gionee and Oppo, the latest entrant. According to the company's website, it has already sold over 17 million handsets in China. Its portfolio includes devices like Mi 3, Redmi (Singapore dollar 169), Mi Wi-Fi and Mi Box, among others. It launched its products in Singapore in February this year. Earlier this month, the company had also roped in Jabong co-founder Manu Kumar Jain to head its operations in India. Indian smartphone market is witnessing strong competition between local and international players, all vying to grab a share of the multi-billion dollar market. In the first quarter of 2014, 17.59 million smartphones were shipped into India as compared with 6.14 million in the same period of 2013. Affordable smartphones, especially those priced in the sub-$ 200 category (Rs 12,000), are doing well. Over the last few weeks, companies have launched handsets like Lumia 630 and Moto G to tap the booming market.